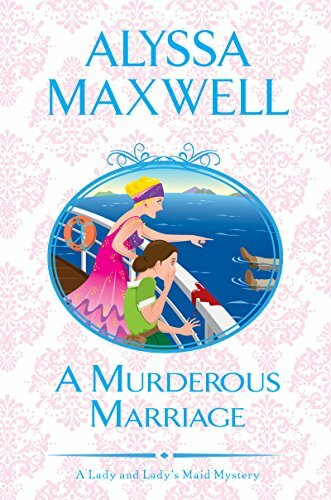 I’m so excited to be a stop on the blog tour for author Alyssa Maxwell and her new release A Murderous Marriage. This is the fourth book in her A Lady and Lady’s Maid Mystery series. This was something I knew even before I understood the first thing about what it means to be an author. I only knew I loved to write and make up stories, which, in school, became my favorite classroom activity. The problem started when I was told the goal of being an author wasn’t practical or realistic. I spent a lot of years trying to figure out a way to be a writer, but with some kind of business application. Technical writing? No, I’m not technically inclined. Advertising? No, I don’t have that ruthless, Madmen mentality. Editing? Yes, for a number of years I did that, first for a reference book publisher, and then a memoir publisher. Practical, sort of, but not satisfying. Not by a long shot. What finally gave me the courage to set my hand to fiction was seeing a friend of mine publish her first novel. It completely inspired me, and she helped guide me through the process, from structuring a novel to the submission process. She also invited me into her critique group and encouraged me to join a writers’ organization. I believe my Gilded Newport Mysteries have created their own niche, something that wasn’t otherwise being done, especially since I use the real mansions and the real people who inhabited them. This means the setting and secondary characters are immediately recognizable. Most visitors to the city fall in love immediately, and want to bring a bit of Newport home with them. The series gives them a way to revisit a very special place from the convenience of their homes. With my Lady and Lady’s Maid series, I endeavored to somewhat take up where Downton Abbey left off, but with a murder mystery twist. Kind of like if Anna and Edith (my aristocratic character is a middle sister) teamed up to track down killers in their scenic little village. And as in Downton Abbey, I explore family dynamics in this series, tracing from book to book how the relationships between the siblings and their grandparents develop and evolve over time. Like the Crawleys, the Renshaws are far from perfect, but they stick together. I also delve into social issues and class barriers, along with the profound changes brought about by WWI. These changes no only help shape my characters, but continually challenge them and force them to become innovative and resilient. Typically, I begin with a premise and build that into a two or three page outline. From there, I write a synopsis, creating a fairly detailed map for the plot. Sometimes I’ll write a couple of chapters before getting down to the synopsis, to see how things might develop. But I do NOT leave my mystery plots to chance or whimsy. A cozy mystery is meant to lead the reader on a specific path from start to finish, with clues along the way, leading to a logical and satisfying conclusion. Without an outline of some sort, threads can be dropped, clues lost, and suspects not developed properly. This doesn’t mean the synopsis is chiseled in stone. Changes happen along the way as I sometimes discover that what I initially envisioned doesn’t work as well as I anticipated. Sometimes, the characters like to speak up, and I’ve learned to trust them. I only read the professional reviews, say from Publishers Weekly and Kirkus. I don’t read reviews on Goodreads, Amazon or other venues—not even the good ones! I’m grateful for them, and I appreciate the time readers take to write reviews, but I’ve learned that opinions are highly subjective and paying too close attention can be counterproductive. Just as I trust my characters, I’ve got to trust my voice and remember that no author can be all things to all readers. Some will thoroughly enjoy my books; others won’t. Generally, the ones who do let me know in other ways besides reviews. Emails, Facebook comments, and the like—and those I read and respond to. Keep writing and don’t listen to the naysayers who tell you writing isn’t practical or realistic!!!!!!!!!!!!!!!! Absolutely! That adage about not judging a book by its cover is naïve and simply doesn’t work in our hectic world where consumers are bombarded with an endless array of choices. A well-designed cover is meant to reach out to a reader and say, “I’m the kind of book you love to read. This story will draw you in and transport you to a world that will challenge your mind and engage your senses.” A good cover should say exactly that, and I think mine do. My Newport covers are painted by an artist named Stephen Gardner, and they’re absolutely beautiful in how they evoke the elegance and opulence of the Gilded Age. Part of my intent with this series is to open the doors of this exclusive world and invite readers in to uncover its secrets. I think each image, with its distinctive “cottage,” makes this promise to the reader. My Lady’s Maid cover art is by a Japanese artist named Tsukushi, and they have a bit of a Manga look to them. Despite some of the more serious themes in these books, the stories remain basically light and very character driven, with all of the nuances of the lady-servant relationship. I love how each cover depicts the murder weapon and Phoebe’s and Eva’s highly shocked expressions. Very cute! I work with three main characters, or sleuths: Emma in the Gilded Newport books; and Phoebe and Eva in the Lady & Lady’s Maid books. All three are strong, determined women in their own right. Emma, I believe, is much more aware than Phoebe of the limitations placed on the women of her time. Although the suffrage movement is gaining momentum in the 1890s, it doesn’t yet have the organized political force it does a decade later. She does often break with tradition and tread where she, as a woman, shouldn’t, but she does so with full knowledge of the risks both to her person and her social position. She acknowledges that she is unique among her peers, and accepts the disapproval of society and her Vanderbilt relatives stoically and a bit defiantly. During the Gilded Age women were of course expected to marry and tend to their families. During Phoebe’s time, however, WWI forced women into the workplace and gave them their first real taste of independence. Although after the war they were expected to return to their traditional roles, many women either didn’t wish to, or couldn’t. It’s said a generation of men were lost to the war. Many women of both Phoebe’s and Eva’s ages would never find husbands. Such women weren’t always treated well, and were referred to in the newspapers as “Surplice Women,” a cruel taunt that insinuated they were somehow at fault for remaining single all their lives. Be that as it may, such women had no choice but to force their way into careers formerly denied to them. Phoebe has grown up with these changes, and it has shaped her worldview and her notions of what women are capable of. She is eager to plunge headfirst into a modern and more equitable world. The only thing holding her back, temporarily, is her traditional, aging grandparents, who are desperately trying to hold onto the old way of life. For Eva, a servant and several years older than Phoebe, these changes are more difficult and unsettling. For her, the old traditions still make sense, and of the utmost importance to her is safeguarding her mistress’s reputation and wellbeing. In many respects, Eva is a mother figure to Phoebe, who lost her own mother as a child. Gradually, however, through Phoebe’s influence and their shared adventures, Eva is gaining confidence and beginning to view the world beyond her life in service, and sees new potential in herself and in Phoebe. I’ve learned that I have the dedication, perseverance, and self-discipline to see a story through, overcome self-doubts and bring a project to completion. I’ve also learned that it takes a village to write a book. No, I don’t write with a partner, but this once very solitary writer has learned to open up to other authors, to share and discuss, and give and take writing and business advice. I’ve also learned that I enjoy events where I get to talk to a room full of people about my books. There was a time when the very idea terrified me, but I’ve learned I have the ability to relax in front of a microphone and be myself—and have fun with it. So, through writing, I’ve found a bit of courage I wouldn’t have had otherwise. Full time! And I love that. I consider myself very lucky. I’m still under contract for two more books in each series, and after that, we’ll see! The hardest part is that moment every day when I have to turn off the real world and all the things I should or would like to be doing, and focus all of my attention on the progression of the story. I wish it was as easy as flipping a switch, but for me it takes quite a bit of self-control and will power. The easiest part of writing is . . . wait, writing is hard work! None of it is easy! But we do it because we love it and there are all those characters in our heads clamoring for attention. I love mysteries, of course, most especially historical ones. That and historical fiction are my favorite genres. I love the challenges posed by a world without technology, or very limited technology, and the ingenious ways the characters must devise in order to prevail. It’s a challenge to me as a reader, and as a writer. I also love to read straight history and biography, especially about the strong women who helped shape the world, who were basically ignored by historians until recently. 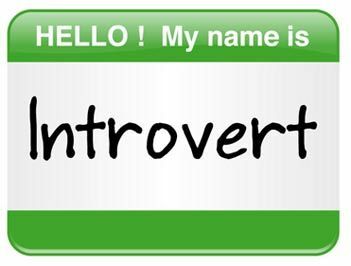 I’m a classic introvert. Oh, once comfortable I’m not shy, but it’s not natural for me to walk up to a group of people I don’t know and start talking. I’d rather let my characters do the talking for me. But that doesn’t mean I don’t welcome someone who walks up to me to get acquainted. I love to make new friends through this business, whether they are readers or my fellow authors. Some of my strongest bonds have come about because I’m a writer, and I cherish those relationships. Yes. I’d like to send a huge thank you to everyone who has taken the time to read my books, and another to those who have contacted me, whether by email or on social media, to tell me how much they’ve enjoyed the stories. It’s that kind of support and encouragement that keep writers productive, especially during the rough patches where life or this very unpredictable business can interfere with one’s creativity. Thank you for being part of the book tour for “A Murderous Marriage” by Alyssa Maxwell. Enjoyed reading the interview with Alyssa. Can’t wait for the opportunity to read this book on my TBR list.